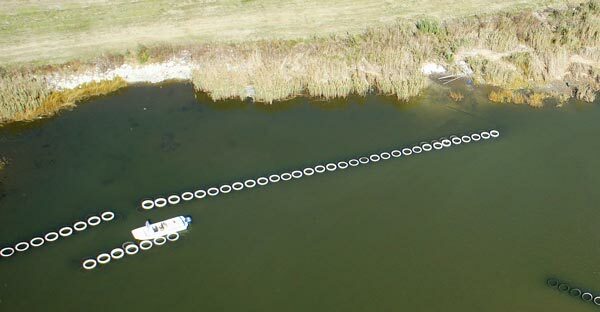 Wayfarer Environmental Technologies is the exclusive manufacturer and distributor of OysterBreak™ semi-artificial oyster reefs. OysterBreak is a patented technology designed to use the oyster's inherent nature of clustering to enhance a strategic coastal protection structure for coastal and estuary shorelines. They may be applied to any shoreline project that calls for any combination of wave attenuation, and shoreline erosion mitigation. OysterBreak units are designed to serve dual functions by creating a reef structure for habitat and robust structure for shoreline protection. OysterBreak units may be custom designed to meet project and regional needs. The Buras Boat Harbor project was completed in November 2014 for Plaquemines Parish. Issues facing the parish included shoreline erosion, loss of access via highway 23, increasing issues with storm surge, and ultimately the economic loss to area businesses and parish communities. The project included Wayfarer Environmental Technologies' installation of the OysterBreak™ Shoreline System using OysterKrete™ concrete, plus placement of vegetated berms. The project included more than 1100 2000+ lb OysterBreak™ rings. 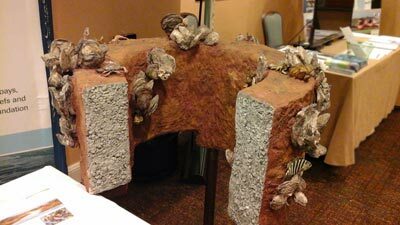 In a few short years the Wayfarer semi-artificial oyster reef will be fully populated with oysters. This will cement each section into a monolithic reef making them even stronger in the face of large storm-driven waves. 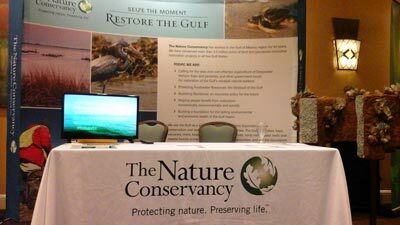 Wayfarer Environmental Technology's OysterBreak™ was used by The Nature Conservancy as a major physical example of how to Restore the Gulf at this month's Gulf of Mexico Alliance Conference.